postcards from america — nicole jane debler. 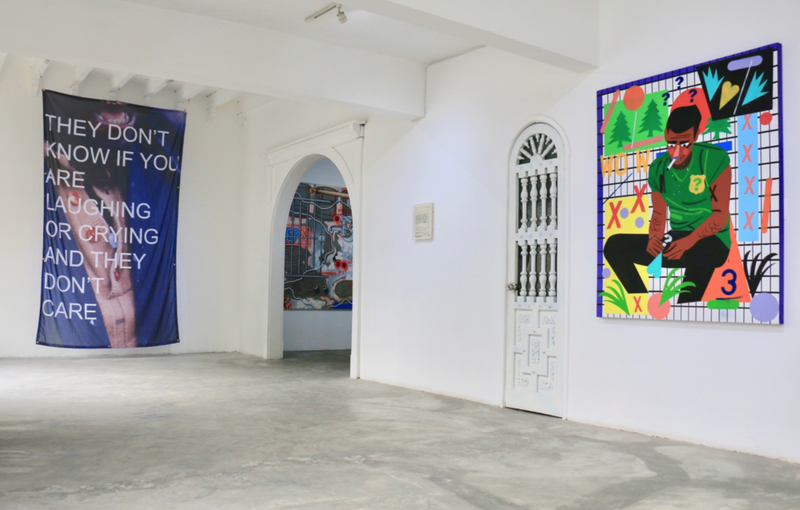 Postcards from America was an exhibition that took place at Celaya Brothers Gallery in Mexico City. The designed image for the exhibition presents contemporary artists that respond to the technological era of the 21st century.
" Paintings, signs, drawings, the written word, they are all used for the same purpose: to depict an image of contemporary American life. Through language and semiotics, figurative repetition, and the use of modern day hieroglyphs, the message is one: a society bombarded by an overflow of information that shatters the oppressed at the expense of the powerful. "